Eliah Watlington serves as the Associate Provost of the Northern Campuses of Florida Atlantic University. She provides leadership for campus based administrative operations, program growth, and serves as a liaison to FAU's northern service area communities. 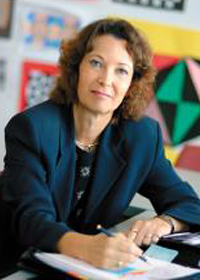 Dr. Watlington has held academic leadership positions at FAU since 1994. She has been actively involved with national accreditation efforts at both the college and university levels. She co-chaired the College of Education's 2007 and 2014 successful national accreditation renewal process. Currently she serves on the Southern Association of College and Schools Commission on Colleges Leadership Team and the Carnegie Foundation Community Engagement Leadership Team. As part of service to the university's local community, she sits on the Northern Palm Beach County Chamber of Commerce Board of Directors Executive Committee. She is a faculty member in the department of Educational Leadership and Research Methodology. Her areas of expertise include program evaluation, cost of employee recruitment and retention, and organizational change. Dr. Watlington holds both a Masters and Doctorate from the University of Virginia, Charlottesville.